With the FanDuel sportsbook, you get one of the best sports betting experiences in NJ. FanDuel is one of the leading daily fantasy sports operators turned online sportsbook. With a great navigation system and cool offers for the experienced player, FandDuel is becoming one of the top sports betting apps for NJ players. What can I get playing at FanDuel Sportsbook? How can I register to FanDuel Sportsbook in NJ? Our rating: what do we like or don't like at FanDuel online sportsbook? What are the FanDuel Payment options available? 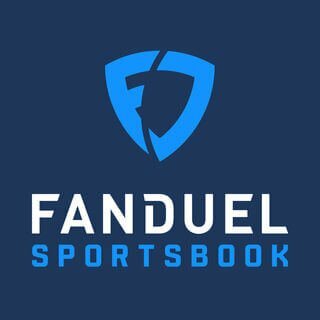 What are the Betting Markets available on FanDuel Sportsbook in NJ? How to Live Streaming on FanDuel Sportsbook? FanDuel App Review: how to bet on the go? Once the bonus shows up in your account, you're ready to play! FanDuel Sportsbook has a variety of bonuses for customers to choose from, both new signups and long-time users. It's impossible for us to stay on top of all of the changing offers and be accurate, we recommend that you check FanDuel's current offers and see if there are any that work for you. No matter what bonus you claim (or don't claim) there are still terms and conditions to the FanDuel sports betting services that you should know. They might vary slightly depending on the offer or new legislation. Remember, that sports betting is new in the USA and maybe lawmakers and states are still figuring out a system that works for them. FanDuel may have to be reactive to multiple state regulations, so please stay on top of the relevant FanDuel conditions to sports bet. Fantasy sports players must be at least 21 years of age. Players must be physically present in the state of New Jersey. Players are permitted to view FanDuel Sportsbook from anywhere and see the lines. However, they cannot bet real money unless they are geolocated in NJ. Obey all legal guidelines when depositing and withdrawing money. For example, the source of the money must be you and you are limited to up to three Debit/Credit cards linked to your account at all times. You cannot sign up for an account if you're currently under self-exclusion from either Betfair or FanDuel. This FanDuel review is positive because the Fanduel sportsbook gave us a positive experience. It's a great addition to the NJ sports betting market. A clean interface, as well as easy-to-find lines and markets, made finding the right sports bet very simple for us. Plus, the variety of welcome bonuses and ongoing offer help sweeten the pot. FanDuel was able to keep us engaged and made watching sports a lot more interesting. Another benefit is that the signup process is very simple. All that you have to do is choose a market, pick a line, and add a stake. When doing research and analyzing for this FanDuel review, we found that a simple betting process makes a big difference when it comes to online sports betting websites. If it's difficult to sign up, that sometimes reflects the rest of the bookie. FanDuel is doing a pretty good job switching from Daily Fantasy Contests to online sports betting. We'd like to see them embrace this new identity even further. With the rest of the USA moving slowly on sports betting regulation, this might be a difficult task. But we prefer sports betting on real games, instead of playing fantasy games. We give the operator a 4.5/5. They're a great operator and the switch to full-blown sportsbook is a good move, one that should become more complete with time. We think the FanDuel lines are on par with industry standards and we didn't feel cheated at all trying to place a bet. The markets to choose from were pretty extensive and we even found a couple of fun novelty bets that we placed a bet on (like betting on the Oscar winners). Playing plungers have the chance to get $1,000,000 with the World Fantasy Football Championship. To do this, win one of five qualifiers. The five qualifiers are $3, $12, $65, $300, and $1,000. There’s a possibility to win two tickets to paradise: a VIP trip for two with three nights at the Terranea Resort. Lastly winning gamesters could also meet fantasy pros and be crowned the ultimate champion. Throughout the second week of fantasy sports NFL season it's possible to enter an NFL contest and win up to $20,000. This offer is available for both new and existing Game of War players. Get the FanDuel app and download the Game of War app before 9/16. On the following day, September 17, 2016, players get a default lineup which can be edited only the day after that, giving players some time to think about their lineup. During 4 rounds of competition, players have the chance to win a share of $100,000 with the $100K NFL Survivor FanDuel offer. Survive the first 3 rounds to earn a place in the week 4 finals and get the chance to win the NFL Survivor tournament. Enter a round for $12 and play up to 50 lineups. First place competitors win $10K, second place competitors wins $5K and third place competitors get $3K. How does it work? Simply placing a pre-live bet on any ALCS or NLCS games, if you team is losing you get a refund in site credit of $50! Not bad right? There's winning a bet and then there's winning with a double payout! How to claim your bonus? The operator has all of the main payment methods, so you don't have to worry about not being able to pay or receive your winnings. You can pay via MasterCard, VISA, discover, FSTA, STATS, NBC or PayPal. If players withdraw using PayPal, it takes 48 hours to process on average. If done via check it should arrive within 7 to 10 business days. Depending on the bank, gamesters may be charged a fee when depositing, but make sure that it’s no more than 3% of the amount deposited. You can pay using the FanDuel app also. To avoid this, use PayPal. FanDuel’s daily fantasy sports include NFL, NHL, NBA and MLB. It’s an exciting time of the year, as most leagues are going to commence shortly or have done so recently. This does however not include MLB. Baseball season is coming to an end in October, having run throughout the summer and it’s time to say goodbye to one sport, and welcome another. Their sports market includes the most popular sports. They have relatively few sports, but it makes it easier to navigate the website and focus on a few at a time. NFL season began in September 2016 and finishes in January 2017. NBA season begins October 25, 2016, so get ready. The Cleveland Cavaliers will host a game against the New York Knicks. NHL season begins on October 12, 2016. A lot of fun games are about to commence, so start reading up on players, your favorite teams and competitors to create the perfect lineup this fall. It's never too late to start, and you might be interested in getting involved in time football season. It's a great way to bond with your father in law over thanksgiving. 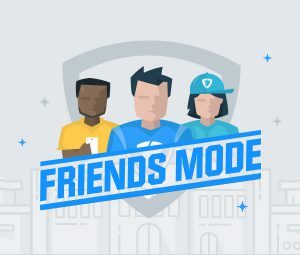 If you've been looking for an activity for you and your friends, Friends Mode Game might be just what you need. Friends Mode is a new way to play, as you start a league with your friends and have your contests recur automatically. It is no longer necessary to manually create private daily fantasy contests. The operator tracks standings for all its players’ league, during the whole season. Every time a friend joins the operator through your league, both of you get $10 to use in contests. It’s an easy and convenient tool to use, and it’s a great way to show friends how good your lineup is. You can use this on the FanDuel app, also. They do not have a desktop live streaming service, but it does have a FanDuel app that is dedicated to live streaming. This FanDuel app is separate from their app. Considering that there are a great quantity of games, and most daily fantasy sports lovers already have access to watch games. However, they do have an app called FanDuel live. It’s a live scoring app where it is possible to view your live contests on the go. It’s possible to use the FanDuel app with your Android or tablet device, unfortunately it is not available for iOS. Its features include live scoring, leader boards where players can compare live lineups, upcoming contests which allows you to see upcoming lineups, and recent contests allowing its users to review standings, as well as access past contest game info. The bookie has an app for both Android and iOS, so no one needs to worry about not being able to keep up with daily fantasy football. This is different from the streaming FanDuel app, it's an all encompassing app customised to fantasy sports players. Both versions have live scoring, recent contests, and account management. It can also find contests, enter and edit lineups, and create multiple contest entries. The FanDuel app is simple to navigate, and it’s very easy on the eyes which isn't necessarily the case for its competitors. If you have a problem contact the operator. The operator's fantasy sports customer care section can be found under the “Help” section. You will find general questions, login/username/password, verification, contest edit/entry, rules and live scoring, deposit/withdrawal, trust& safety and friends mode. When the area of concern has been chosen, the bookie provides different questions and answers. In the event that the answer to the question can’t be found, it’s possible to chat with a professional FanDuel employee. If you do not want to contact their support system, you can enter the FAQ section in quest of an answer to your question. The operator has a vast FAQ section, in fact, it works as the customer support section for all fantasy sports questions to the general gaming experience. Can I chat live with a representative? Can I play FanDuel when I’m traveling into a permitted state?